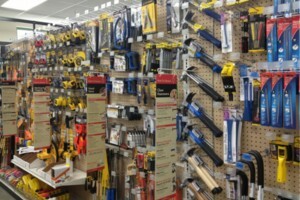 Inventory time can be a stressful time for hardware store owners and their associates. All those nuts and bolts, dump bins, and the entire product line to count!! PICS knows how to count all the small unique items like rope, chain, and seasonal items within your store. Our teams are experts at counting your many SKU’s and different departments/categories. PICS’ methodology can be adapted to your reporting needs whether it’s financial, by area and/or department, or by unique SKU’s. If you haven’t made the transition to item level SKU inventories, call and ask about the advantages this will bring to your company. Here is what one hardware store owner had to say about his experience working with PICS for the first time. Contact PICS Inventory today (888-303-8482) or complete and submit the information request form on this site.